So I pulled off the road yesterday and found a little stream. You can't see it from the road and I wasn't sure if there was water there. I just always see vehicles there so I figured there was either fishing or hunting there. Turns out it was fishing. I have had almost no luck fishing streams this year. It's my first full year fly fishing and I have a lot to learn. So getting this little whitefish was pretty rewarding. My favorite part about fly fishing is it makes me want to explore off the road more. I had re-acquainted myself with spin fishing about 2 years ago and thought I'd never touch a fly rod. It looked to complicated. We spent a weekend in Pittsburg, NH last summer and I decided to try my buddy's fly rod out just to see how it felt. 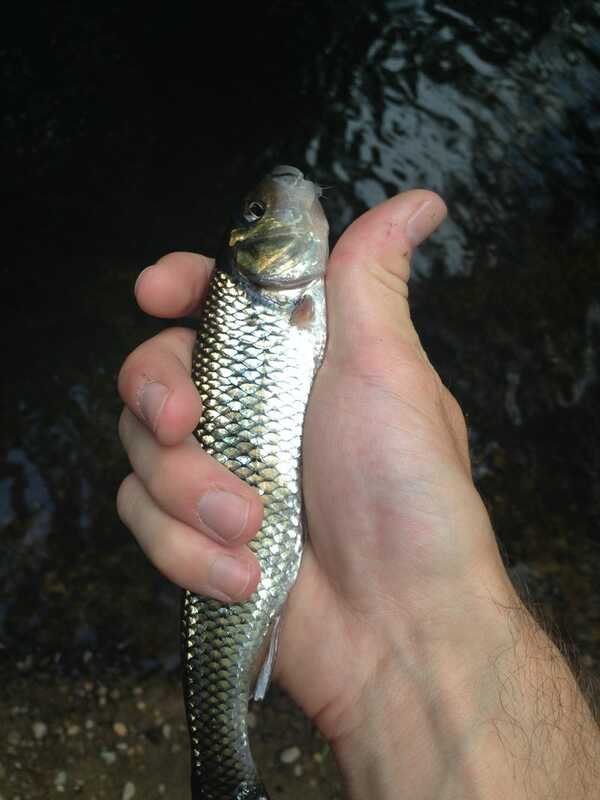 I hooked my first fish that weekend (it was about the size of my thumb). I went home that weekend and bought some used fly equipment from a friend who was upgrading. I've touched a spin reel maybe once since that weekend. I have no interest in it anymore. There's nothing wrong with that type of fishing, but I bore easily and it wasn't really doing it for me anymore. Fly fishing keeps me focused and relaxed. I have so much fun just exploring, and even though most of my searches for good fishing spots are fruitless at the moment, I'm enjoying it never the less.